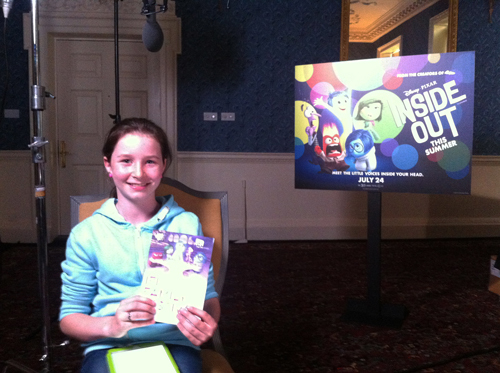 In partnership with Disney Pixar, we were delighted to send one of our Young Media Explorers Clara Maxwell, to the official press junket day for Inside Out (The Festival’s opening film) at Dublin’s Merrion Hotel. Alongside all the other Irish journalists, Clara had a one-on-one slot to interview the director Pete Docter and producer Jonas Rivera, which the good people at Disney Pixar caught on film, take a look below! Carla also blogged about this once in a lifetime experience. 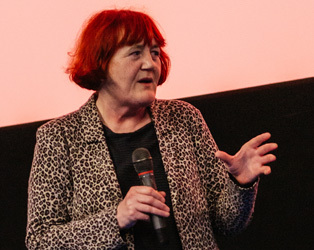 Read on to hear about her exciting glimpse into the world of filmmaking. Hi my name is Clara Maxwell, I am eleven years old and I am a huge Pixar fan. The first movie I ever saw was Finding Nemo and the first movie I saw in the cinema was Cars. So when Dee (Senior Education Officer) from the IFI asked my Mam if I would like to see the new Disney Pixar movie Inside Out before anybody else, I was bubbling with excitement. And if that wasn’t enough I got to meet and interview the Director and the Producer. I was so excited to be going to see a movie before anybody else. I told my friends and they couldn’t believe it. The movie was an emotion roller coaster. It was scary, sad and funny. I thought I sort of related to Riley because of our personalities. The director based the character of Riley on his daughter Ellie. My favourite part of the movie was the emotions because that’s how I imagine them. I highly recommend this movie. 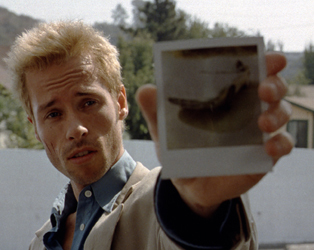 It is a have-to-see. 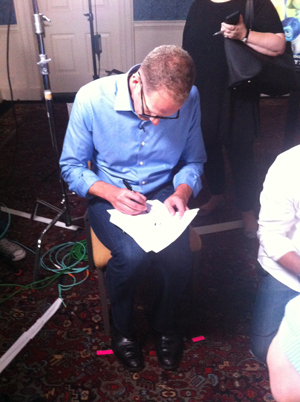 Pete Docter preps for Clara’s interview! The next thing was the interview with the director Pete Docter and the producer Jonas Rivera who worked on Monsters Inc, Up and Toy Story 3. I was surprised that it was so calm when I arrived at the Merrion Hotel where the interview took place. The Disney people were very kind and made me feel very welcome. Before my interview they let me go into the room so that I was comfortable with the cameras. I waited in the room for a few minutes, it was nerve-wracking but it was worth it. Pete and Jonas were a pleasure to be with and they answered my questions with ease. 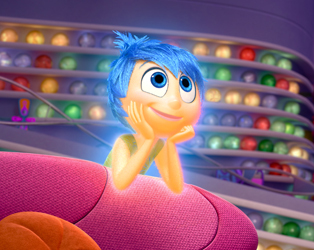 The whole experience was a joy and I hope you go to see Inside Out because it is a Pixar great. 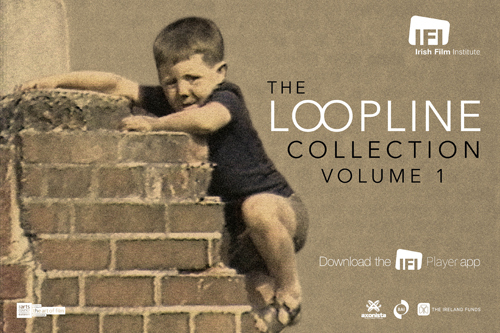 The IFI would like to thank to Walt Disney Motion Pictures Ireland.